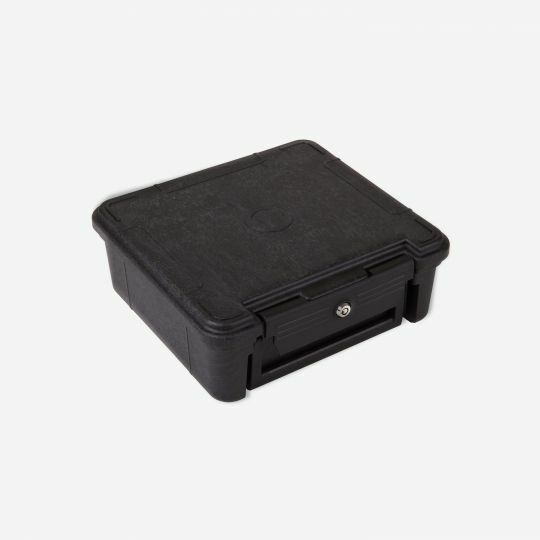 A fixed pistol safe that easily converts to a travel case. The patented anti-theft short axle lockdown gives easy access and peace of mind when your pistol is stored. The Secure Lock Pistol Locker combines a travel case and fixed pistol safe into one. A patented anti-theft short axle lockdown mechanism allows the case to be easily mounted and locked to a flat surface utilizing two heavy duty flat-head screws. Once mounted and secure, the mechanism can only be accessed if the lid latch is unlocked. To turn the locker into a carry case for a trip to the range, simply unlock, twist and go.